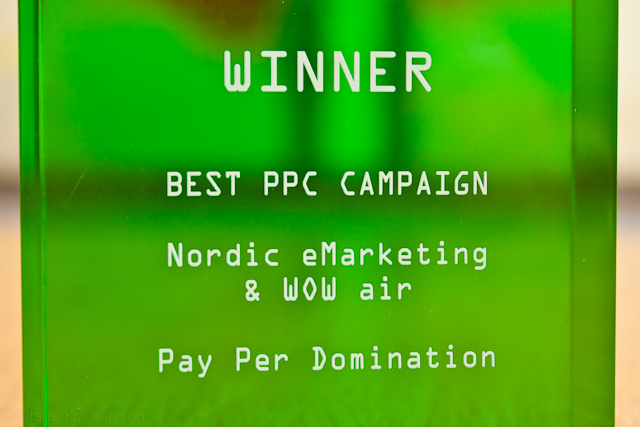 Nordic eMarketing was awarded the Grand Prix for the best PPC Campaign at the European Search Awards, which were held in Reykjavik, Iceland on Friday 28th March. 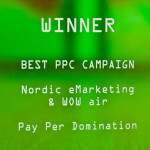 The award recognizes the results of a pay-per-click campaign for Icelandic airline WOW air, which gave the airline online visibility across Europe. “The campaign went great, and we managed to reach WOW air’s key audiences in various markets across Europe, which ultimately resulted in an increase in revenue for the airline,” says Haukur Jarl Kristjansson, head of PPC at Nordic eMarketing. Reykjavik was chosen to host the third European Search Awards ceremony, which took place in Barcelona last year and in Amsterdam the year before that. “It’s a great honour for an Icelandic company to receive such a prestigious award in its home country. This is indeed a turning point in the history of our company,” said Hreggvidur Magnusson, CEO of Nordic eMarketing. For more information about Nordic eMarketing, visit www.nordicemarketing.com.